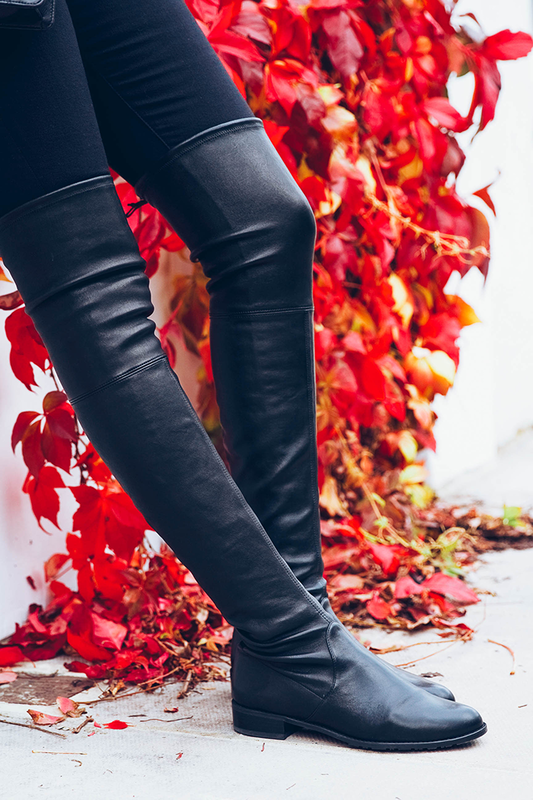 Is there anything better than a sleek pair of over-the-knee boots for fall? They really are hard to beat. In the dependability department, Stuart Weitzman gets an A+. I picked up my first pair of over-the-knee boots from Stuart Weitzman over six years ago – this was when he introduced the 50/50 style that saw a surge in popularity a couple of years back. Are you surprised I still own them today? After six years they’ve gone through a lot. I definitely didn’t take care of my shoes back then as well as I do now, so after a few visits to Deno’s for repairs and refinement, it was time for me to invest in a new pair. Since my last pair held up so well over the years, the only place I wanted to look to replace them was Stuart Weitzman. While I loved the new Lowland style he came out with last year, I just couldn’t convince myself to buy a pair in suede (which is the only material they were sold in initially). This fall he introduced the Lowland in leather, which was an easy sell. Since I’ve been over in London, I’ve avoided all things suede – there’s just no point buying something I wouldn’t be able to wear if it rains. I also feel like suede tends to get dirty more easily and doesn’t last as long as leather. Therefore I opted for this pair. Best. Choice. Ever. They are super comfortable just like the 50/50’s, but have a slightly more rounded toe and polished look for a more feminine appeal. If you saw Monday’s post, you’ll know these boots also look amazing with dresses and tights. They are such a simple, sleek alternative to flats for fall and will last long after the season is over. If I take good care of these I see no reason whey they couldn’t last even longer than my last pair of OTK boots! If you’re in the need for a heeled over-the-knee boot, check out the Highland in leather. Gorgeous! these boots are stunning and love your plaid. You look great…loving the plaid :) OTK boots are definitely a worthwhile investment…hoping to make some mine soon! I’ve been lusting over them for over a year now! I can’t afford them, but they’re definitely amazing. Good to know you think they’re a good investment piece. Favorite outfit you’ve ever posted, Merritt! Perfection! Love everything about this look! just gorgeous. I’ve had my eye on the leather version, but just cannot bring myself to splurge on them yet since I have them in suede…. these photos make me want them even more though!! perfect outfit. loving the filter on these photos! 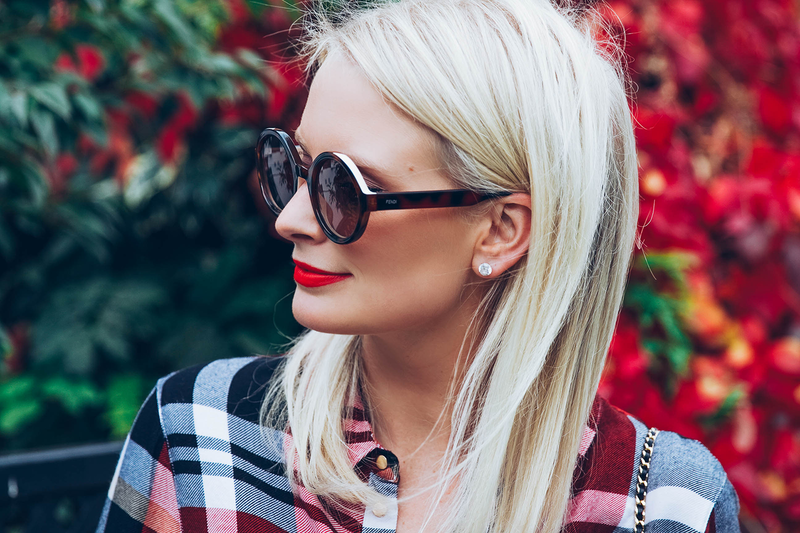 Such a polished take on plaid! Love this look and the backdrop is stunning. Love that plaid on you! Such a rich color! SO gorgeous! I’m really wanting to invest in a pair of SW, but man, living in Florida makes that sound so absurd. This pair is a gorgeous option. 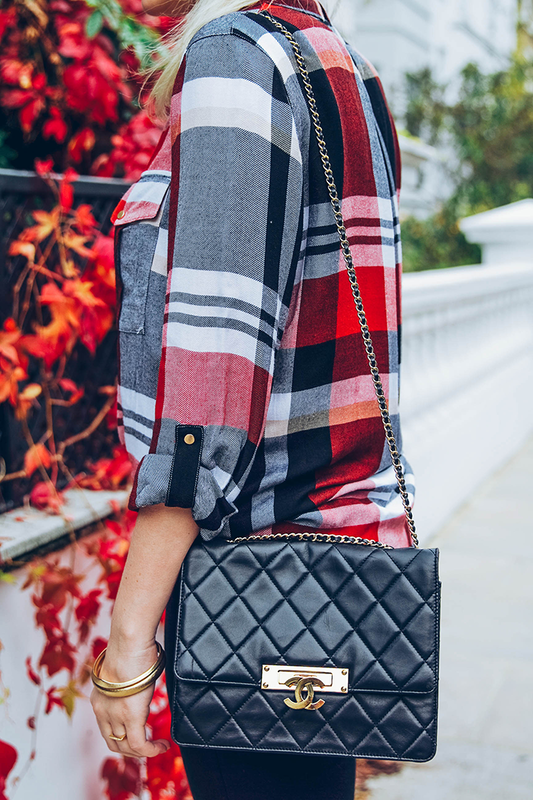 Seriously leather and plaid is a match made in Fall Heaven! You are making me want these boots so bad!! I initially wanted them in suede, but this leather is gorgeous!! Such a cute outfit, and I completely agree. I’m always so happy when trend stick around for a few years (and even become classics). Loving your hair as well, did you recently get it done? I thought the same thing about his Lowland style – I would never be able to wear suede. I love this leather style, but I have just one question! They look super tight… are they hard to pull on over jeans or even on bare legs? I totally agree! These boots literally go with anything! You look lovely.